Gustave Sennelier created the palette of colors used by Cézanne, Pissaro, Bonnard, Picasso, and others. 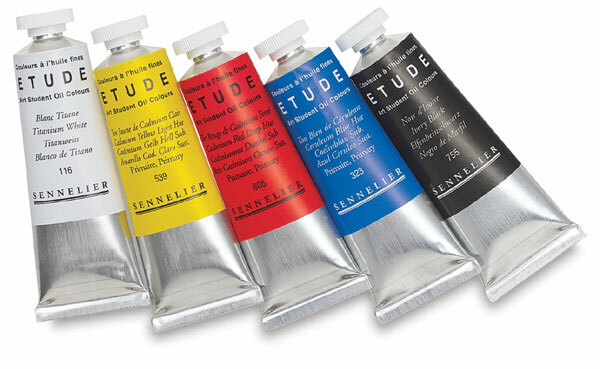 Now the makers of the acclaimed Sennelier Extra Fine Artist Oils have created these student oil colors as an economical medium for teaching the techniques of the masters. These vibrant and intense colors resist yellowing and feature excellent lightfastness. 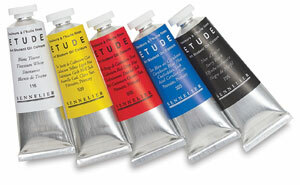 The buttery texture allows smooth brushwork in thick application or glazing. In the tradition of fine sketching oils, they closely match the working characteristics of their famous "parent" colors. The selection is more limited, and the more expensive colors such as the cobalts and cadmiums are recreated as hues that blend modern pigments. Primary colors are Cadmium Yellow Light Hue, Cerulean Blue Hue, and Cadmium Red Deep Hue.